Our school productions are specifically created to assist students with their academic study. We keep Shakespeare’s original language, but condense the story to an energetic hour, so it can easily slot within the school timetable. Each tour is targeted at a specific age-group and we can follow our performances with interactive workshops, allowing the students to further explore the language, characters and interpretations of the main themes. Our secondary school tours delivers a strong interpretation of the play to assist discussion, while displaying the dramatic impact of text in performance. Our cast comprises of four professional actors, who revel at the chance to engage with children and impart their unique knowledge and experience. The productions are cut, directed and designed by GSC’s professional team to the same standards as our main-house shows. Performance Length: 60 minutes (with additional 60 minute workshop). Fee: £850. Book 2 shows for £1,400. 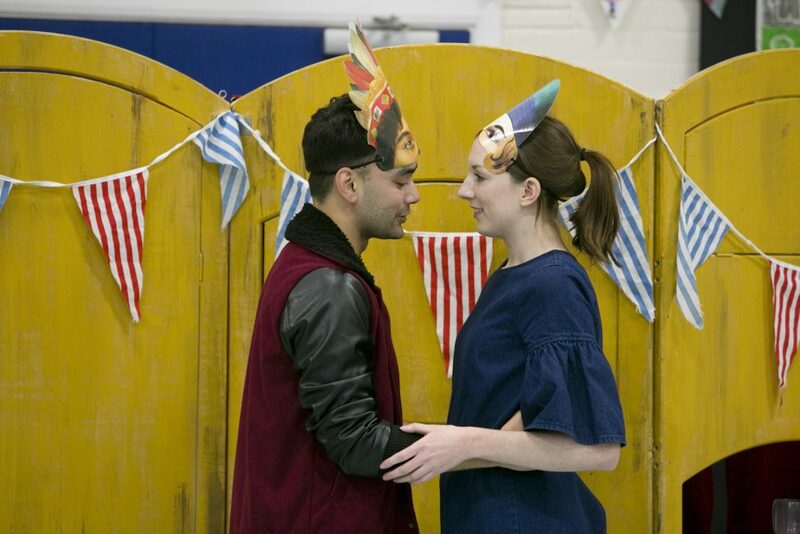 Our primary schools tour links the scenes through narration and the children become involved through creating soundscapes, slow motion fights and our Shakespeare puppet, 'Little Will'. The children are also invited on stage to take on characters like King Duncan and The Nurse. We regularly take our school tours to schools that wouldn’t normally be able to afford it. This is made possible through our partnerships with Delight Charity, The Geoff Herrington Foundation and Guildford Community Grants. If you would like to book or for more information, please contact us.